This classic steel can opener has a static puncturing blade. Designed to hold in your right hand. Twist away from your self with your left hand. It is a much easier motion for a lefty! 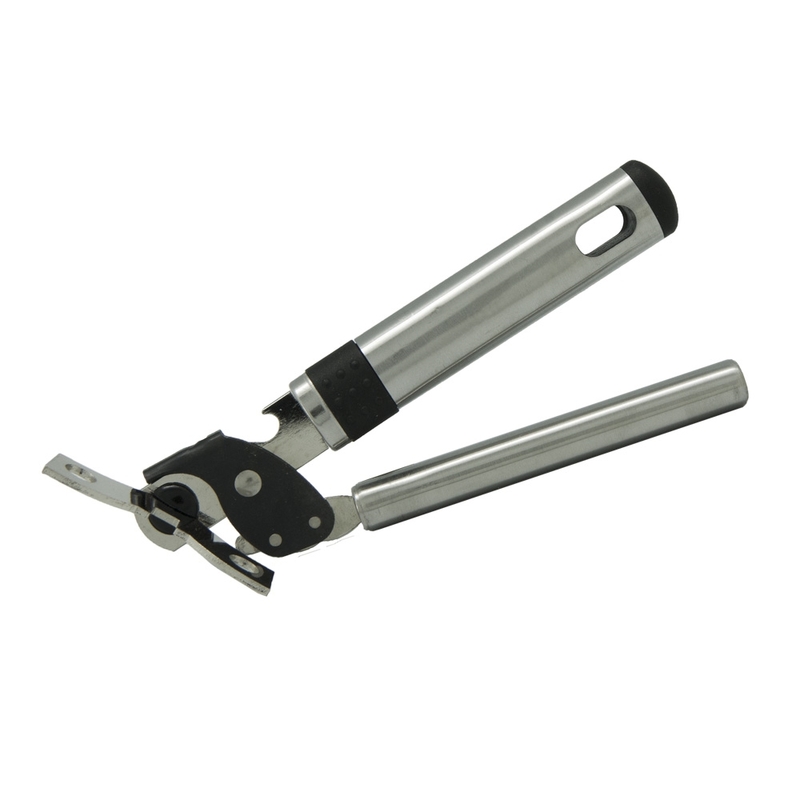 This opener is made to fit on the left side of the can, to be gripped in the right hand and turned with the stronger left hand. The person I got the can opener for, who is homeless, said it looked cheap. It works really well. I like it. Me and my husband are both left handed so I love the store.